In today’s highly fierce business world, attracting more and new customers and retaining existing ones is a daunting task. Whether you are a small business or running an established enterprise, having a professionally designed website is the key to surviving and thriving in the competitive business market. If truth be told, your website is the first place where your prospects interact with your brand and tell them clearly about your products or services. If you are thinking to start your own business but don’t have enough finances to pay an exorbitant amount of money for a professional web design agency, WordPress is the easiest option to create your own website for your startup business from scratch. There are hundreds of thousands of WordPress themes proliferate across the web to choose from but selecting the one that perfectly matches with your brand story, vision, and services is the key. 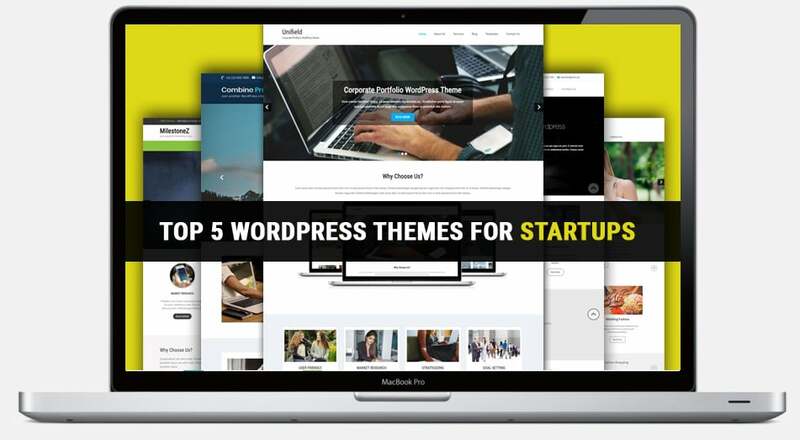 Here are top 5 WordPress themes for startups that you can use to create an intuitive, visually appealing and highly-functional website that speaks well of your brand. Unifield is a diligently crafted WordPress theme that can be a perfect fit for a variety of businesses including, travel, real estate, digital marketing company, web design agency, restaurant and many more. The Unifield theme is also a perfect choice for designers, artists, photographers and professionals to display their portfolio in a professional manner. 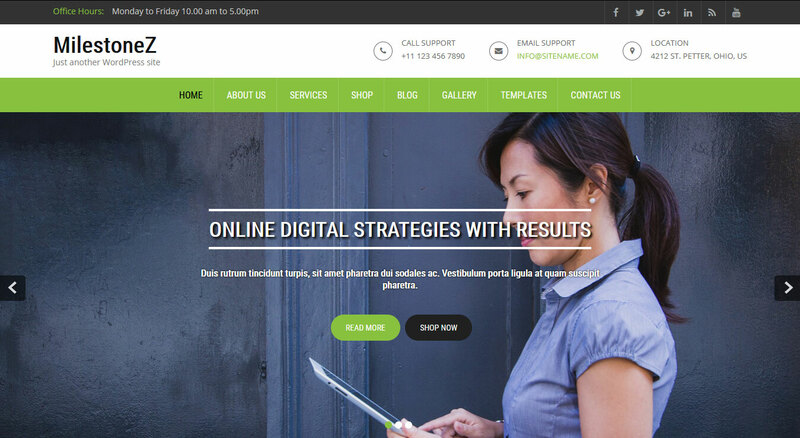 This premium WordPress theme is also a good fit for startup businesses and product launch websites. The clean, aesthetically appealing and elegant design is the epitome of corporate branding agencies, helping them to reel in clients and grow their business. 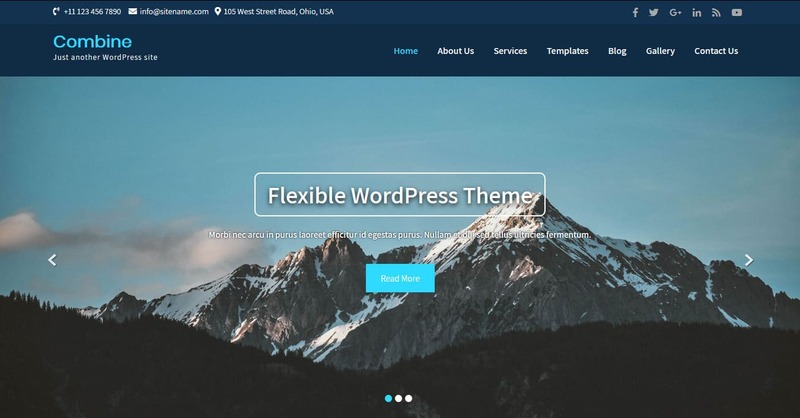 The WordPress theme is tailormade to provide a user-friendly platform for non-tech savvy entrepreneurs to create websites for their business on their own. The theme is fully customizable, you can upload content and images and set up your website in no time. Theme Options is the most powerful feature of Unifield that makes it easier to adjust page layouts, logo, favicon, social icons, adjust colours and links. The theme is responsive, optimized for SEO and compatible with popular WordPress plugins, such as WooCommerce, NextGen gallery and Contact Form 7. The Combine Pro has an amazing multipurpose functionality that can be used across myriad industries such as travel, corporate, construction, food, ecommerce, and any other type of business. The theme is responsive and is specially designed for providing a flexible framework to create a website with multiple features and functionality. The attractive design gives your startup website a clean look. The homepage has multiple sections for your services, features, pricing tables, offers and testimonials. The theme has an inbuilt Nivo Slider that allows you to show your projects in homepage. It also has Revolution and Cyclone Slider that helps you come up with a slideshow with animations. The theme has easy to use Theme Options framework that has an unlimited layout, page templates, and style options. The theme provides extensive theme options for fonts, header, footer, slider, WooCommerce support and much more. Furthermore, the theme is compatible with many custom widgets for header, footer and page sidebar that help you create stunning pages and improve the functionality of your website. BizWeb is a great choice for businesses related to different industries such as healthcare, marketing agencies, travel and consulting firms. The theme has a range of stunning features, including widgetized featured box section and sortable portfolio that makes it a perfect option for business professionals. The theme is customizable helping non-tech savvy users to create a website as per their needs without having enough coding knowledge. The premium theme is tailormade to meet the challenging needs of your startup business. BizWeb is fully responsive that offers an out-of-the-box user experience design and unique features that take your online brand presence to a whole new level. BizWeb has various customization options such as page templates, backgrounds, unlimited colour options, social media icons, parallax scrolling, shortcodes, FontAwesome icons and much more. The theme has a lot of page template options to choose from the grid to full width, testimonial and default page template. You can choose any of the templates to give your website a professional and elegant look. BeautiPlus is a perfect option for fashion brands, fitness clubs, health, and skin related products, photography and small businesses. The theme is designed to help small businesses and startups to create their online presence and reach a wider audience. 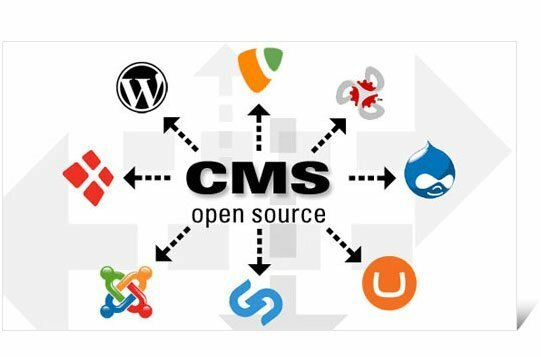 The website comes with a lot of unique and user-friendly features that are compatible with a lot of popular WordPress Plugins. 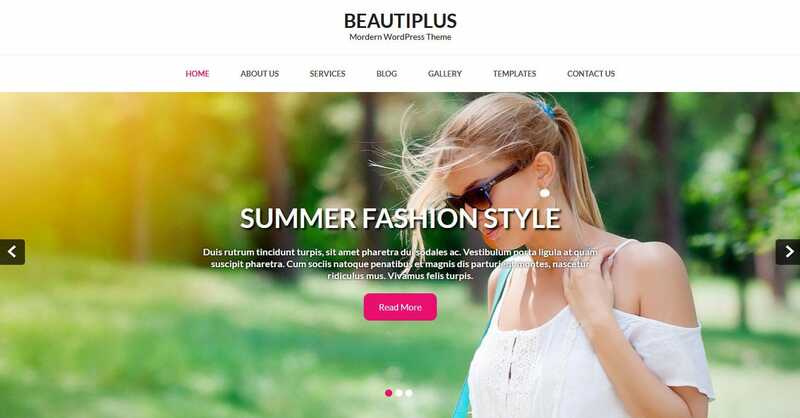 The plus point is, the theme provides an elegant template which offers a sticky header, parallax effect that plays a key role in getting the attention of your ideal customers. 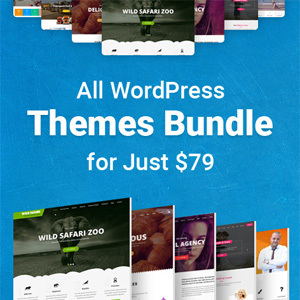 The premium theme is compatible with WooCommerce, NextGen gallery, Contact form 7 and different other popular WordPress plugins. In addition, the theme is SEO friendly, translation ready, and incredibly fast to load. MilestoneZ is an easy to use, customizable, responsive WordPress theme that is an effective choice for those who are thinking to start their own business. The theme is well-coded and masterfully crafted for multipurpose websites. The theme has a number of modern features that can enhance the overall look of your website, helping you to attract more and new customers. With the high-quality, feature-rich WordPress theme, creating an intuitive, elegant and functional website for your business in no time. The theme has all the essential features so there is no need to purchase any third-party plugins. MilestoneZ supports full width and attractive image slideshow that allows you to showcase your product images. In addition, the theme is responsive that works well with every screen size. The cross-browser compatibility, SEO friendly nature, and WooCommerce compatibility are some great features of this WordPress theme that can make your website a revenue-generating machine. 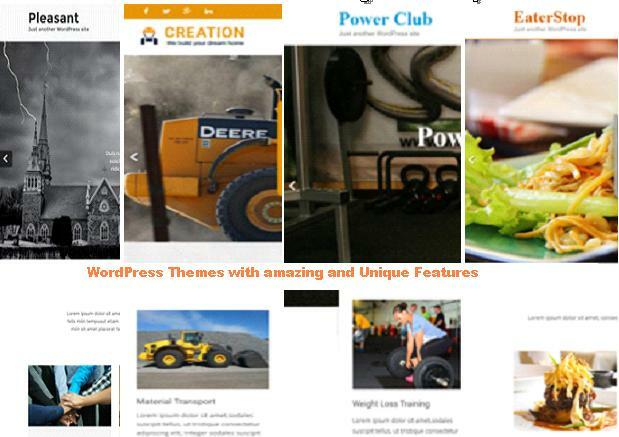 So, these are a few suitable WordPress theme options for startup businesses. If you are planning to launch your own business, it’s the right time to carefully consider any of the above-mentioned premium themes that perfectly meet your business requirements and build a strong online presence.